It seems that RTL (rapid tissue loss) is a term given by many aquarists to any coral disease that may occur with their coral. There are many coral diseases that affect coral that have the same symptom as RTL. 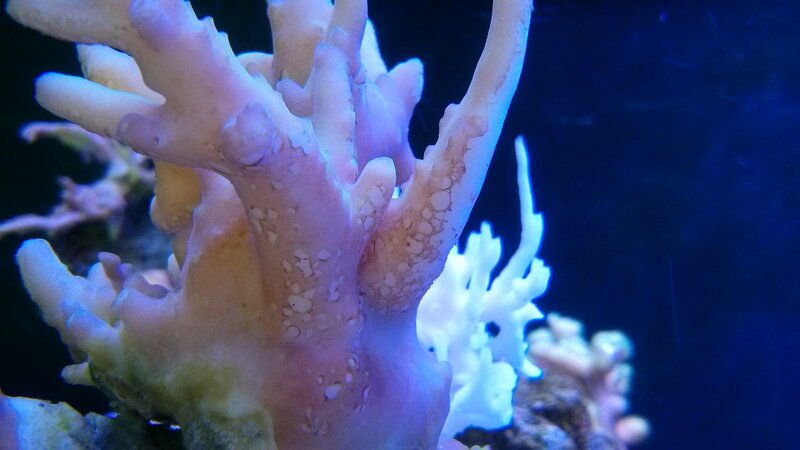 Some diseases affect SPS, some affect LPS and some affect soft coral. Most if not all, do not affect all coral. Some of the known diseases are shown below. Black band disease is characterized by complete coral tissue degradation caused by a pathogenic microbial group that appears as a dark red or black patch. The patch is usually appears between healthy coral tissue. The color of the band may be black, brown or red depending on the amount of pathogens present. 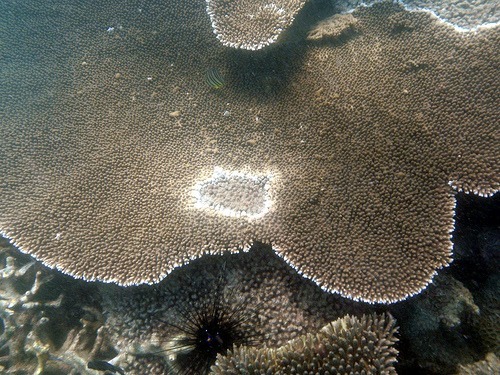 White specks may appear resulting in another patch of damaged/diseased coral. Tissue decay is caused by exposure to a sulphur rich excretement at the base of the band. Studies on black-band disease in boulder and brain corals in the Virgin Islands show that many colonies are chronically infected, but at low levels. The disease is caused by blue-green algae in association with bacteria and can apparently be spread by contact. During daylight hours the disease mayadvance up to 1 cm per day. An interesting ecological note for brain corals is that by killing off the living coral, the disease can annually convert about 4% of coral area to free space, thus creating new substrata for successional processes. 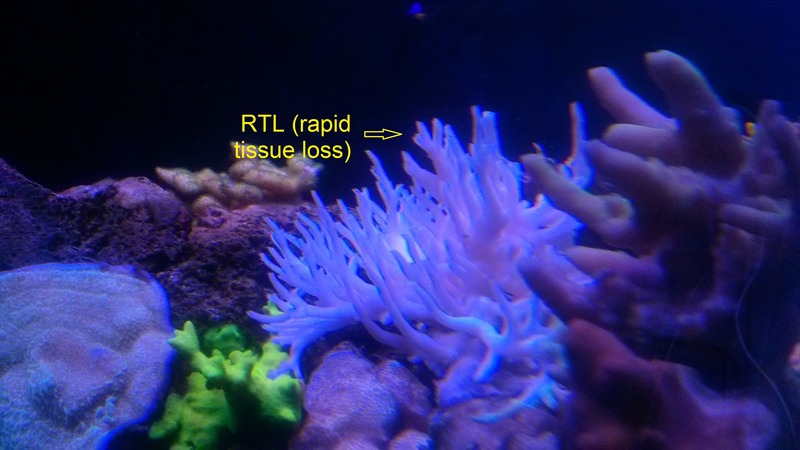 White band disease can be associated with RTL because at times there is a bleached zone that increases with time but generally starts at the base of the coral. No known pathogen has been isolated for this disease. Another disease that can be mistaken for RTL. Signs of this disease are loss of zooxanthellae with no loss of coral tissue. This is different from environmental bleaching (RTL) in that Vibrio Schiloi or patogonica are present in the affected tissue. No cure presently exists. This is a fungal disease which only occurs in Caribbean Sea Fans and Sea Whips. 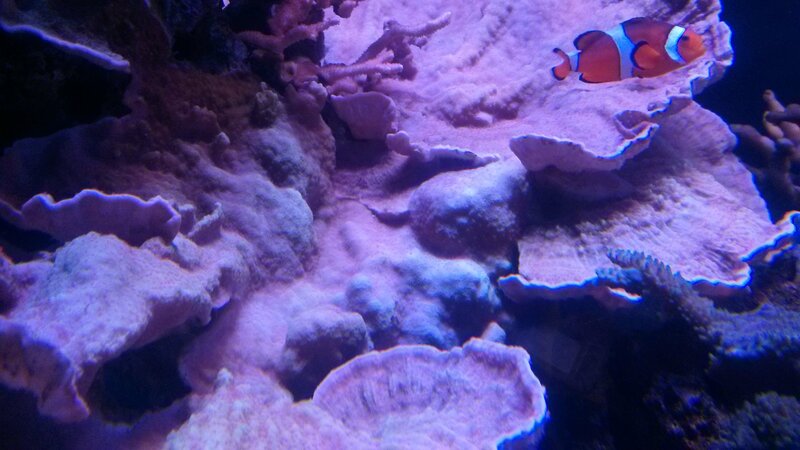 Symptoms are purplish spots appearing in random locations on the affected coral. No known cure exists. 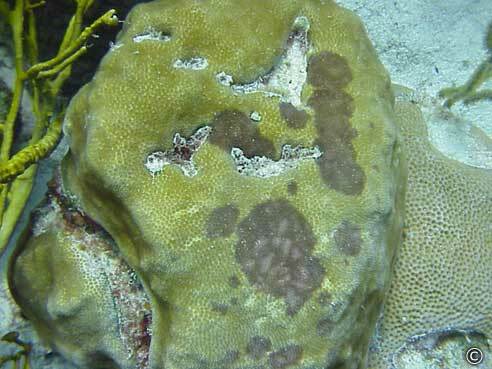 Dark spots disease appears as dark (brown or purple) pigmented areas of tissue on scleractinian corals. The coral tissue remains intact but tissue death generally occurs in the center of the pigmented area. There is no known pathogen causing this disease. Environmental conditions trigger this disease along with nematodes or flatworms. Most refer this to RTL (rapid tissue loss). No known cure that is safe to use with fish or invertebrates. Best results are to remove coral and place into a coral dip. This procedure will eradicate any parasitic invertebrates that may be hosting on the coral. See creating the ideal environment below. For more detailed information on coral disease, please follow this link. The above diseases are just a few of many and for most, there is no cure available so prevention is the best means of control. If you have an infected coral, the best way to save the coral is to cut off a piece or pieces of the unaffected area so new coral can develop from these cuttings. Discarding the rest of the affected coral is recommended so as not to introduce it back into your tank and affect other healthy coral. So what can we do to lessen the chance of disease attacking our coral? The best method is prevention by maintaining a stable environment for our coral. Two common factors in all coral disease are caused by stress from environmental factors and sudden water parameter changes. Environmental factors can include injury from organisms such as nematodes or flatworms or from fish that like a tasty bite of coral on occasion. Care must be taken when selecting fish to ensure they are not coral eaters. Most butterfly fish will eat a certain family of coral and angelfish will occasionally nip at LPS coral and some species of anemones. 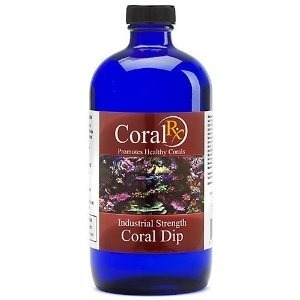 It is highly recommended to give new coral a dip in one of the many products available to expel any parasitical invertebrates from the coral. Water parameters that can cause this are higher than normal water temperatures, nitrate levels exceeding 5ppm or phosphate levels 0.5 or higher. Sudden changes in pH, calcium and magnesium can also lead to stress which leads to disease. SPS coral are more prone to coral diseases compared to other corals because they are less tolerant to water parameter changes or less than ideal water parameters. 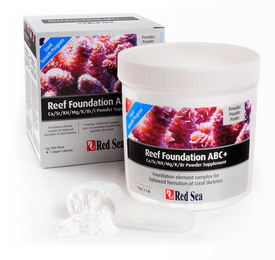 To insure success for a vibrant reef aquarium we must first create a basic foundation for the elements used by coral for optimum growth. These elements include calcium (Ca), magnesium (Mg), and carbonates (CO3). Trace elements of strontium (Sr), and barium (Ba) are very beneficial. The above elements are found in all coral skeletons. The incorrect ratio of these elements can have a serious effect on the strength of the coral skeleton and if the ratios of these three elements are improperly maintained, coral health is affected and can lead to brittle skeletons that are easily broken. Think of the membrane of the coral as a skin with miniature pumps that move outside water to the area between the membrane and skeleton where these elements are processed for coral growth and nutrition. New elements are continuously brought into the coral to replenish the elements the coral has used up so the ratio of these foundation elements must always be maintained at their proper levels. A constant fluctuation of these elements leads to coral stress which can lead to coral diseases. For rapid frag growth an elevated level of these elements in their proper ratios lead to a faster growth. If you have a developed reef, then the natural levels found on the reef are all that is needed to maintain coral health but will result in a lower growth rate. Below is a guide for maintaining the basic elements in their proper ratios. All coral require nutrition in some form of protein flocks, carbohydrates, amino acids and fatty acids. For most coral, photosynthesis provides 85% of the food they require. The other 15% can be supplied by products such as Red Sea Reef Energy, Parts A and B or other brands offering the same food requirement. Coral also extracts dissolved nutrients from the water as a food source. Be careful when using other brands to ensure the products will not raise NO3 or PO4 to dangerous levels. To bring this food to the coral, good water circulation is a must and wave making devices are your best bet for this process. There are 70 identified minor elements in natural sea water. Of these, 31 are needed by coral to promote health and color. Companies such as Red Sea and Fauna Marin provide these elements to the hobbyists at very reasonable prices. Without the use of these elements, coral color and health may be less than spectacular. Orphek has presented this feature to help you achieve success with your coral. Photosynthesis is by far, one of the key factors leading to good coral growth. 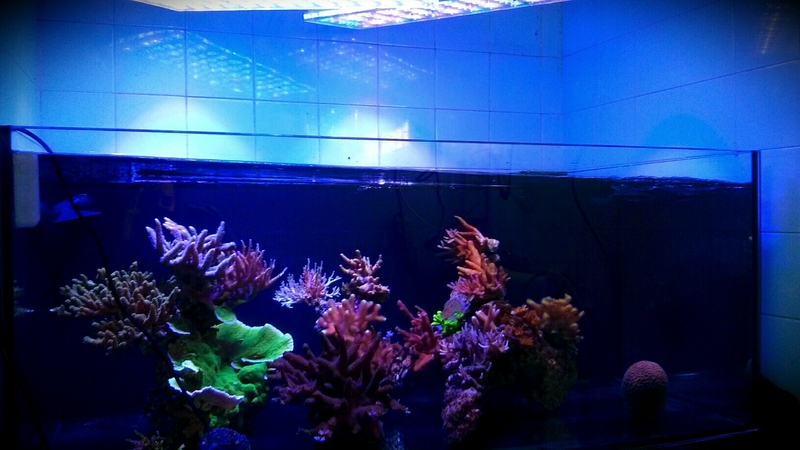 Light of the correct intensity and spectrum MUST be provided to achieve good coral health and growth. 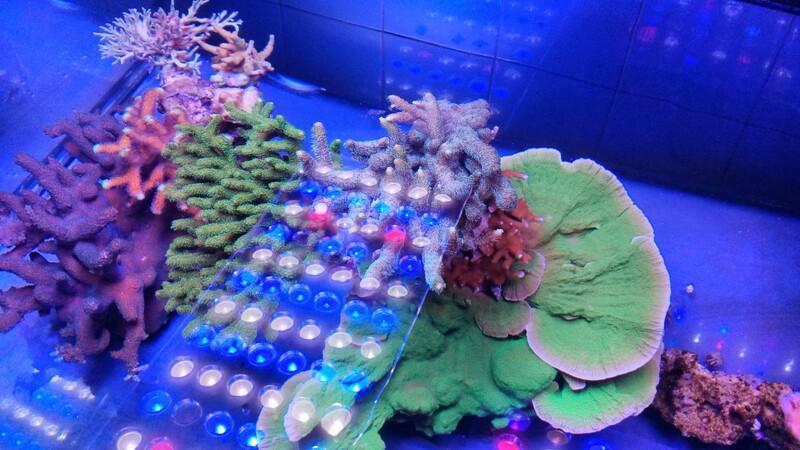 All Orphek models of LED lighting will easily provide the necessary intensity and spectrum required for great coral growth and color. When selecting lighting for your coral reef, be sure it can produce the intensity required for the type of coral you keep. It is also important that your lighting provide the required intensity for depth at which your coral will be placed in your tank. We can make this easy for you simply by sending us an email at contact@orphek.com. Our experienced sales consultants will guide you to the correct light you need for your application.